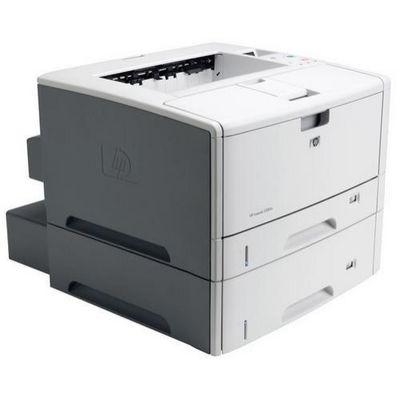 The HP LaserJet 5200dtn was specifically designed to deliver efficient and versatile wide format laser printing and is both flexible and easily manageable for your business workgroup. Boost the productivity of your office with a 460 MHz processor that produces impressive print speeds of up to 35 ppm with 1200 dpi resolution. Take advantage of the printer's tabloid printing capabilities and produce prints that are perfectly suited for marketing proofs, architectural plans, or financial ledgers and spreadsheets. Versatile paper handling includes three trays that give you an 850 sheet total maximum input capacity to let your productivity and creativity soar. (H X W X D) Unit 10.8" x 19.3" x 22.2"